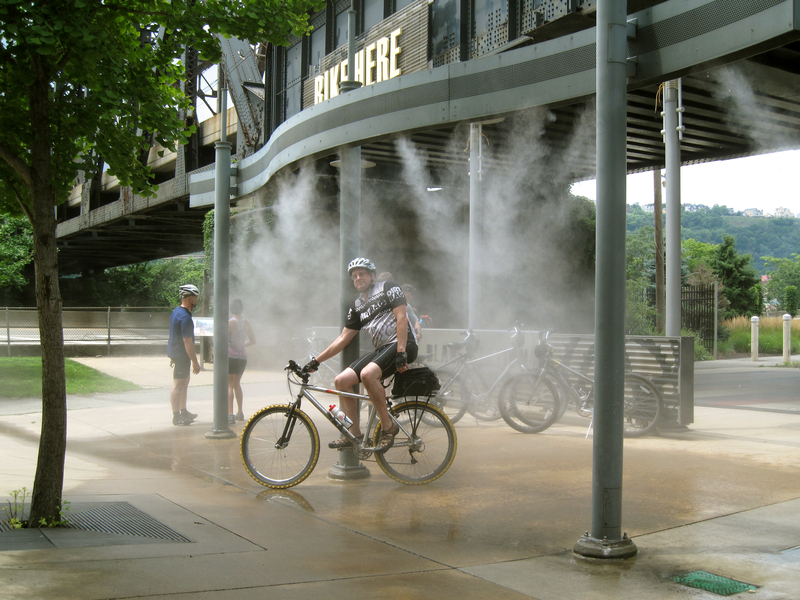 The Three Rivers Heritage Trail is an urban rail-trail paralleling the riverbanks in the Pittsburgh area for about 25 miles, often on both sides of the rivers, and offering a spectacular view of the city. 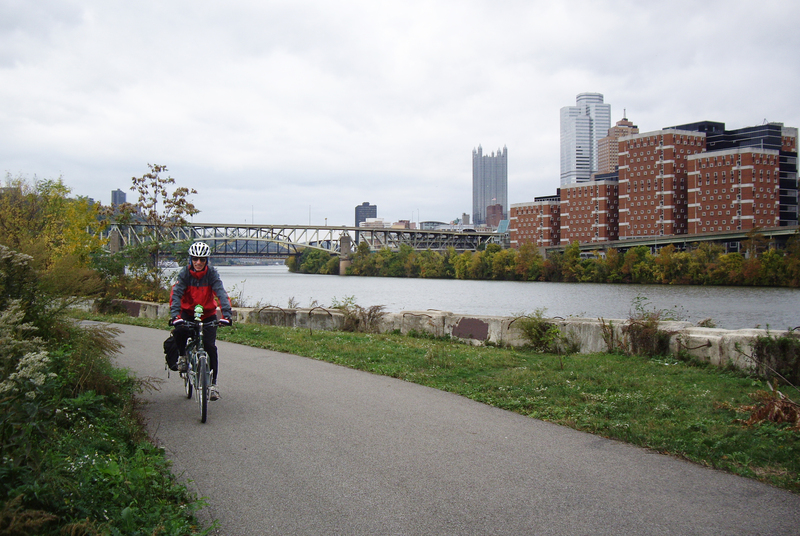 Location: Pittsburgh, Pennsylvania, In Pittsburgh, shoreline trails on both sides of all three rivers. There are various access points for the trail in Pittsburgh. 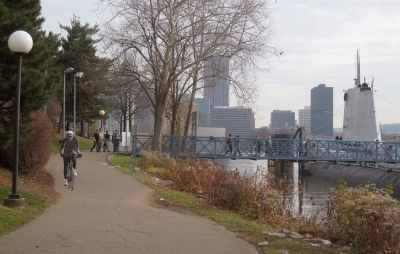 Visit www.friendsoftheriverfront.org for detailed access and parking information. 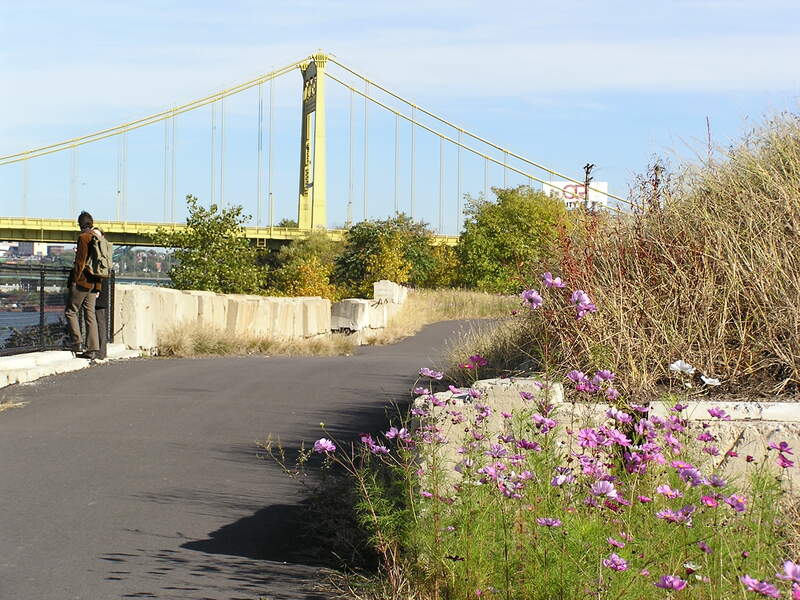 The trail is promoted and maintained in part by the Friends of the Riverfront (FOR). 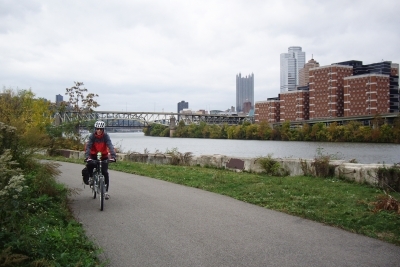 The mission of the FOR is to build safe, clean, and accessible riverfront trails as part of the Three Rivers Heritage Trail system to create and maintain an outstanding experience for trail users while providing economic, environmental, and health benefits to the Pittsburgh region. 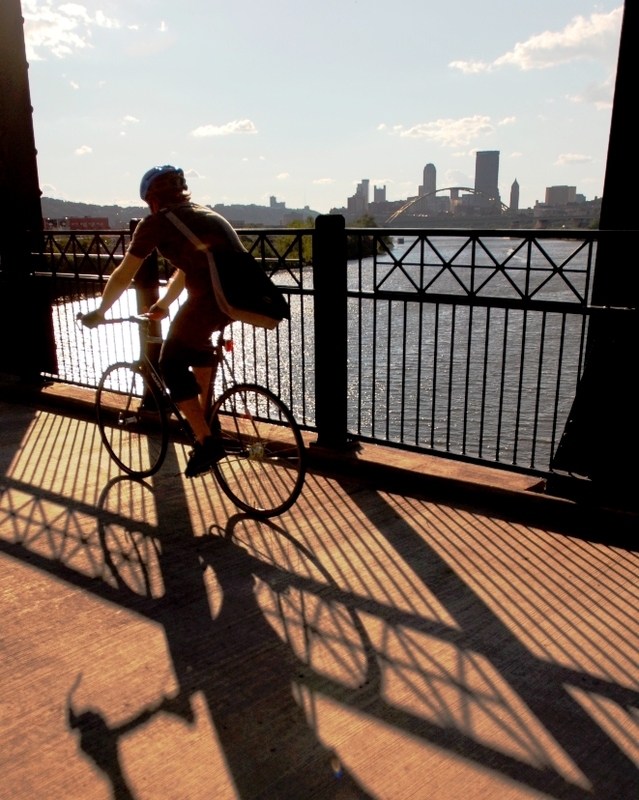 The Three Rivers Heritage Trail is part of the Great Allegheny Passage, the Erie to Pittsburgh Trail and the Pittsburgh to Erie Mainline Canal and Greenway. 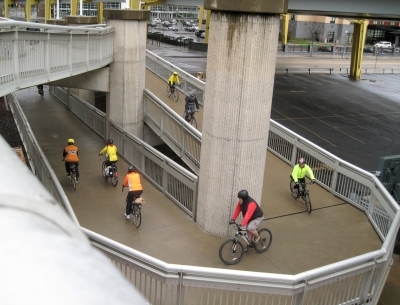 Additional connections to existing trails, including the Montour Trail, are currently underway. 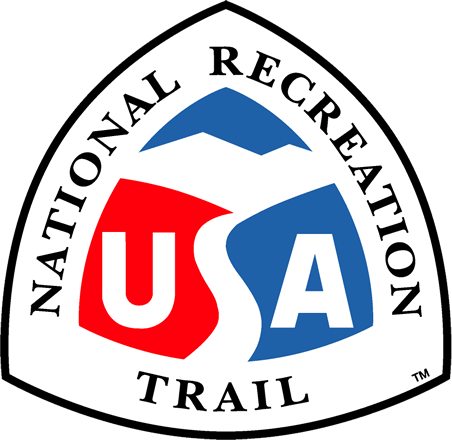 Management of the trail falls largely to the municipalities. 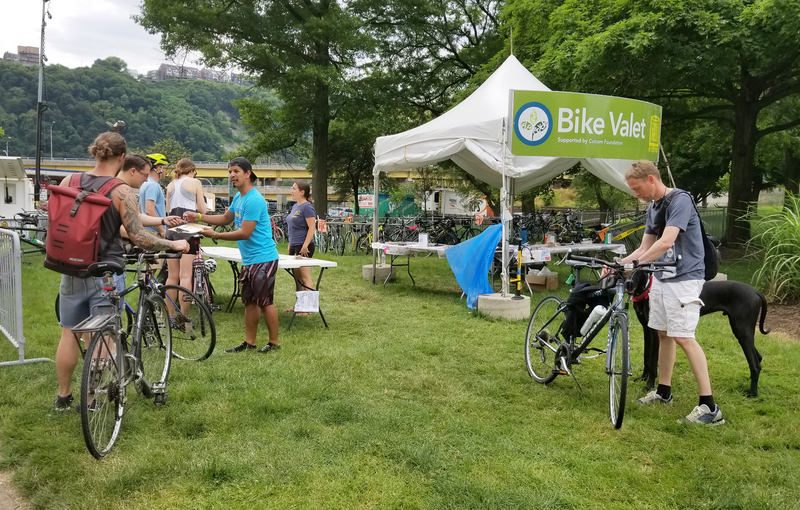 Friends of the Riverfront serves as a secondary steward, utilizing volunteer labor through a License and Maintenance agreement. 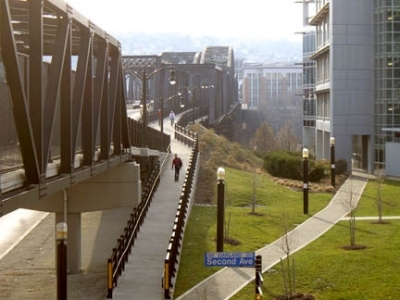 This agreement allows FOR to promote the Three Rivers Heritage Trail as a singular entity, to maintain the various site furniture, river access points and a system of direction and interpretive signage. Recent surveys indicate diverse use of the trail for recreation and commuting purposes. Innovative Facilities. Photo by Mary Shaw. The Workers. 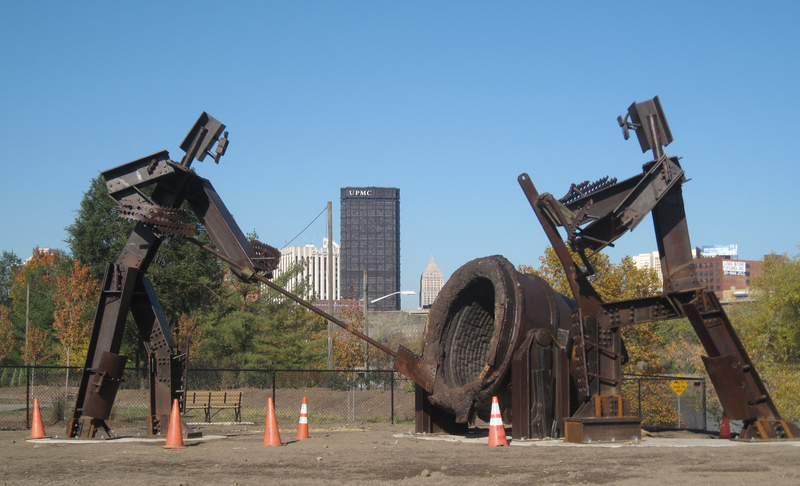 Two 18-foot metal steelworkers stand beside the trail. Photo by Mary Shaw. Downtown from Carnegie Science Center. Photo by Mary Shaw. 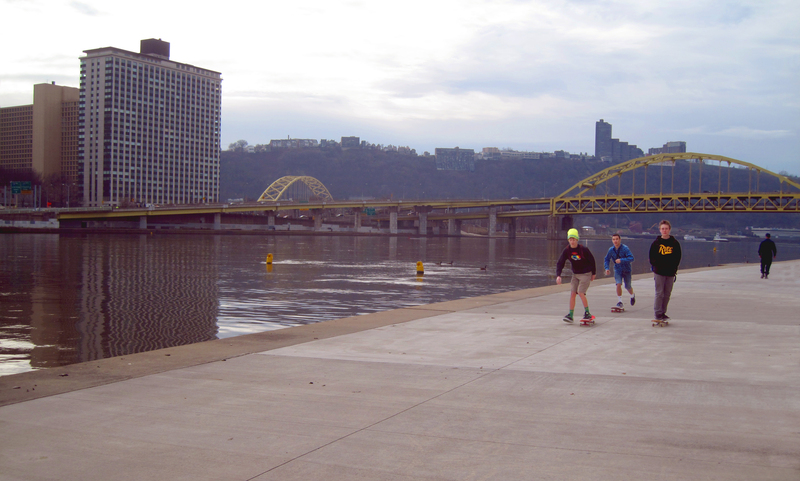 Skateboarders by the stadium. Photo by Mary Shaw. Icycle Bicycle Ride descending from Duquesne Bridge. 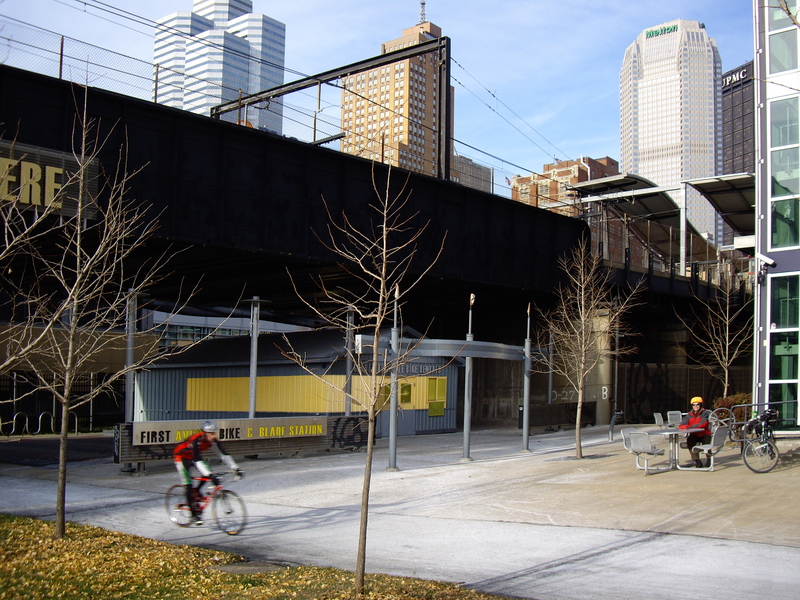 Photo by Mary Shaw. Downtown from Southside Trail. Photo by Mary Shaw. Steelworkers Monument. Photo by Mary Shaw. 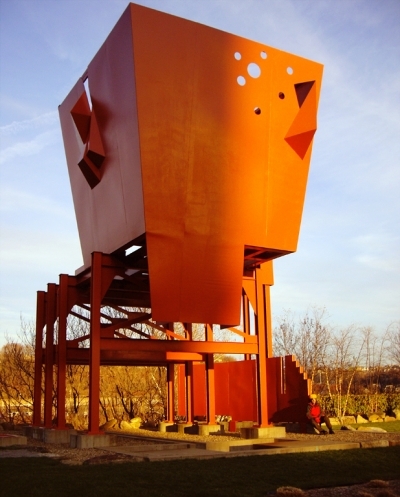 Hot Metal Bridge. Photo by Mary Shaw. Bike Valet at Point Park. Photo by Mary Shaw.